As a journalist, I have met and interviewed hundreds of people. My grandmother, Marion Prellwitz Etling, surpasses any and every volunteer, political fundraiser, church-goer, hospital employee, mother, wife, and grandmother with her saintliness. I list all these walks of life because these were part of her wonderfully active existence. We lost her last night after a long illness. I know she would object to that characterization, saintliness, but to anyone who knew her even a little bit, and even to some who didn’t know her at all, she was the sweetest, kindest, most friendly person in the world. My grandmother, in her 82 years, mastered the art of friendship. She truly knew how to care. She cared not just about friends or family, as some do, but about strangers. She cared about relatives from Germany she barely knew who would show up on her doorstep with a half hour’s notice on their vacations to California. She cared about the members of her church congregation, the people on her Meals on Wheels route, the residents of the Lutheran Home where she was nursing director and most of all, she cared about her family. My grandmother, more than any other role model in my life, taught me how to be among people. She taught me that a friendly smile and a sparkle in your eye can say more than many, many words. She taught me to never give up, no matter how awful the medical challenge or personal situation might be. And she taught me to imagine. Playing house or hospital or restaurant or chauffeur at her house were among the best times of my childhood. I have made it a point in my life to spend time with my grandmother whenever it has been possible, and we talked many times about how lucky we were to have so many Sundays playing Scrabble together. I will never ever forget those wonderful afternoons, and know that no one who met Marion Etling will ever forget her. Grandma, I love you. Thank you for being such a great part of my life. 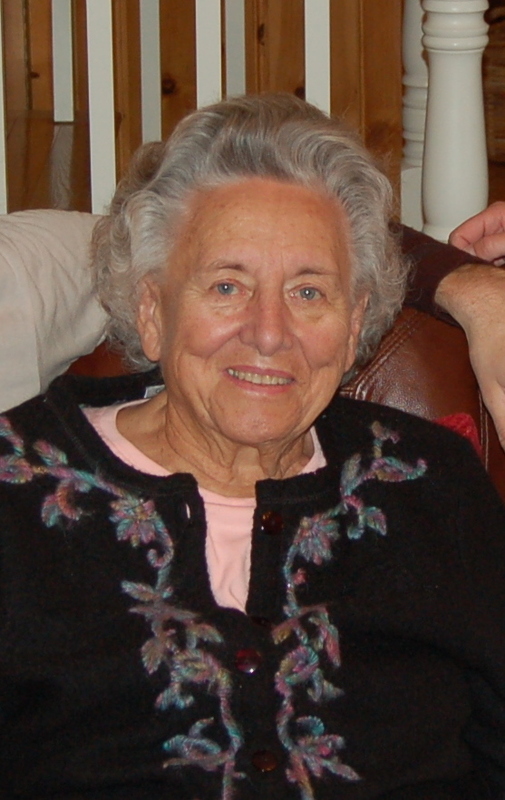 Marion Prellwitz Etling of Solvang, beloved wife, mother, grandmother and community member, passed away Jan. 14, 2010, due to complications from kidney and heart failure. She was 82 years old. She was born in 1927 in Wausau, Wisconsin to Helen and Benjamin Prellwitz, hard-working second-generation Americans scraping out a living in a small paper mill town. She grew up in the little village of Brokaw with one younger brother, Kenneth. Some of her best Wisconsin stories were about swimming in the river in the summer and skiing in the woods in the winter. She loved spending time on the family farm and at her family’s hunting and fishing cabins, where berry picking and swimming in Payment Lake were favorite pastimes. 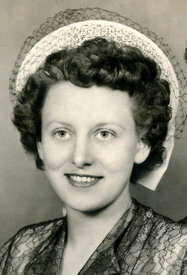 Her affection for Wisconsin remained strong throughout her life. After high school, she studied nursing at Cook County Hospital in Chicago, Illinois. While a student there, she met and married Benjamin Etling, an engineer. They moved to Winston-Salem, North Carolina and had four sons, Ben Jr., Robert, William and Bert. During the summers the family took cross-country road trips to Wisconsin and beyond, sometimes going all the way to the West Coast. The Etlings moved to Solvang, California in 1966 in the hopes that a drier climate would improve Marion and Robert’s asthma. Ben Senior took a job for a civilian contract engineer (“Rocket Man”) at Vandenberg Air Force Base near Lompoc. Marion was a stay-at-home mom, though she later went back to nursing and became Director of Nursing at the Solvang Lutheran Home’s Recovery Residence. She left that job to help care for her second grandchild, Leah, in 1979. She volunteered her time to the Visiting Nurse’s Association and the Republican Women of Santa Barbara County, and was an active campaign manager and fundraiser through the 1980s. After two of her sons married, she had three grandchildren, Lisa, Leah, and William, who all received lavish attention from her while growing up. Grandma E, as she was known by her grandchildren, was never too busy to play games and have backyard adventures. As her grandchildren became adults, she remained interested and involved in their lives. Plagued by health problems for most of her life, she always had a positive attitude. Until she was 80, she and Ben were delivering Meals on Wheels to Santa Ynez Valley residents and coordinating the delivery program on behalf of the Shepherd of the Valley Lutheran Church. Marion was a devout Lutheran and a longtime Sunday School teacher. She loved listening to Ben Sr. play the trumpet in the Solvang Village Band concerts and playing a weekly pinochle game with her friends. She is survived by her husband, Ben, sons Ben (Dianne), Robert, William (Debra) and Bert, and grandchildren Lisa (Seth) Etling Socolow, Leah Etling, and Will Etling, and great-granddaughter Laurel Etling Socolow. Her family will miss her terribly. Memorial services have not yet been scheduled. That’s really beautiful. Your family is in my thoughts. Thank you for the afternoon you invited me to join your Scrabble game. I was hardly up to the challenge, but I really enjoyed the company. My grandmother had the same affection for Scrabble and taking care of family who dropped in. We carry their lessons with us. one of the best. Treasure your memories always.